Bikash Mohanty is a Social Change Leader, A philanthropist, an innovative technologist, a keen writer/blogger/illustrator/columnist, a mythologist, a Financial Transformation specialist, a Chartered Accountant, a Business/Life coach and an International IT Interim executive; who presents latest trends in the society & environment, analyses their impact to the world at large, produces considerable action oriented options & inspires fellow citizens in India & around the world to make changes collectively. 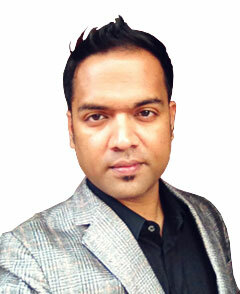 Bikash has studied: “Chartered Accounting” from ACCA, UK; “Bachelor of Engineering” from Utkal University, India; “Export Management” from IIEM, India; “Diploma in Life Coaching" from Australian institute of Coaching; “Diploma in Business Coaching" from Australian institute of Business Coaches & continuing with his “MBA” from the LMU, UK. Since his graduation, Bikash has worked already in 20 different industry sectors, including some global FORTUNE listed organizations , across the globe (India, Australia, Singapore, USA, UK & Middle-east). In addition to his professional education; Bikash has studied Creative Writing and Journalism from "The Writers Bureau, UK" & Professional Photography from “London Photo Tour Company”. Bikash has been awarded certifications in : Art of Sophistication from “Beatons, UK”; in cooking Thai delicacies from “School of Wok, London”; in cooking Italian delicacies from “La Cucina Caldesi London”; in cooking Indian Coastal delicacies from “Cinnamon Kitchen, London”; in preparing & serving Cocktails from “Anise, London” and in cooking a full course Japanese meal from “MAT UK LTD”. 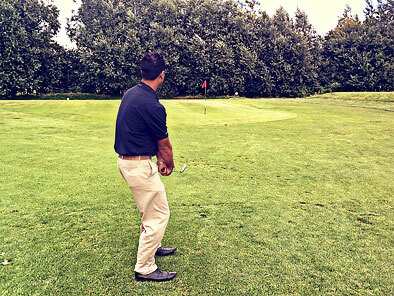 Bikash is also a trained Golfer from “Central London Golf center” & a trained Iyengar Yoga practitioner from “IY Yoga Center, London”. Bikash is a vegetarian by choice and has been practicing teetotalism for many years now. 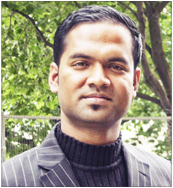 As part of his journey as student for life & student of life; Bikash has travelled and lived in India, USA, UK, Australia, Singapore, Saudi Arabia, UAE, Netherlands, Italy, Spain, South Africa, New Zealand, Malaysia, Thailand, Japan, Germany, Austria & Switzerland. Bikash is a proud citizen of India, Australia and United Kingdom. Bikash was born in Bhubaneswar (a mid size city) in Odisha state of India and that is what he considers as his HOME. Bikash personally defines his remuneration to knowledge sharing: as insightful contributions by one individual; who has good knowledge, outlook, comprehension, education and sufficient international experiences; to develop a wise world view on various social & environmental topics, conditions; and anticipated changes, which produces thoughts, that are of interest to other individuals & organizations in India and across the globe.